Manufacturing and Trading of Induction Heating Equipment. Established in the year 2009, we at Elwarm Induction have carved a niche as the most predominant manufactures and suppliers of a wide of range of Power Electronics products that includes Portable Induction Heaters and Power Converters. 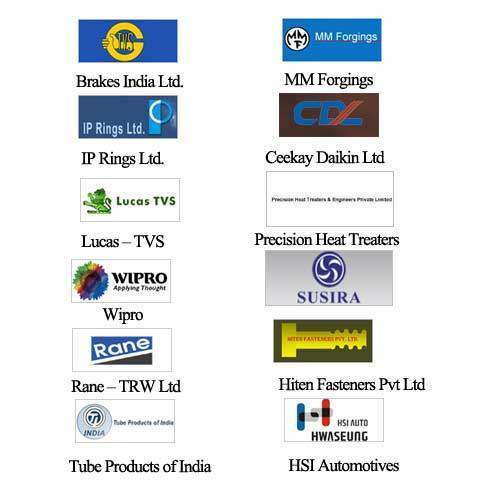 Our range is famous for its excellent quality & utility and has wide range of application knowledge, such as in Induction heat treating of Automotive parts, Induction mass heating for forging, Induction heating for bonding & drying, Induction brazing, Induction heating shrink-fitting, Induction melting, heat sealing, etc. We are committed to provide complete customer satisfaction when it comes to the quality, performance, timely delivery and prices of our products. We always focus on catering the varied needs of our customer's and offer quality products that meet relevant quality standards. Latest technology and advanced machines are used by our team of professionals and expertise to test the products before transferring them to the clients. We offer both standardized and customized range of products to our clients' as per their demands. Our range of products are Eco-Friendly and very cost-effective. We have a vast infrastructure that is well equipped with the sophisticated machines and latest technology to meet the emerging market demands. Further, we are backed by a team of professionals who help us with our production procedures. Further, we aim to have a long-term association with our clients by providing our products at the most competitive price with the best quality and more importantly the prompt and quality servicing. Our clientele like us for our in-depth commitment towards their concept and the very deep comprehension that we have towards their needs. Mr. Muthiah Sivasailam, with rich experience in many reputed engineering industries and great passion for Research & Development in the field of Power Electronics and Induction Heating, has developed many innovative products which has earned us an enviable place amongst other well recognized manufacturers of Induction Heating equipments in India. Hard work and consistency are his main concerns due to which we have gain universal popularity in terms of products. Our aim is to become a leader in manufacturing vibrant power electronics products, specially Induction Heating applications. We have directed all our endeavors towards providing our customers with world-class equipment and we pride ourselves in offering state of the art Induction Heating equipments at market leading prices. We follow ethical business policies and transparency in our transactions with every organization or individual. We offer to our team members a positive work atmosphere that nurtures technical excellence, spirit of sincerity and commitment. Elwarm Induction has an in-depth experience and knowledge of the field. We have channelized all our endeavors towards following client centric approach. We deliver our range of products as per the specific requirements of our clients. We also understand the budgetary concerns of our clients and offer the products and services at affordable prices. For sustaining our goodwill in the market, we also strive hard to provide the products and services within the stipulated time frame. Our valuable corporate clients include many reputed Engineering companies such as. 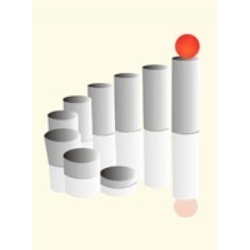 Elwarm Induction is a client-centric organization, our aim is to provide to maximum satisfaction to our clients. With the help of our efficient workforce, we manufacture qualitative and flawless range of products. Quality testing unit ensures that the products are in compliant with the relevant standards. A stringent quality control strategy is employed at each and every step of our business. Also, the research and development team through an intense research always helps us in remaining ahead of the industry. They employ the latest technologies, with which they have been successful in offering innovative products to our customers. Moreover, we offer our products at very reasonable price and also offer customization of our products as per our clients needs. These personnel have vast experience of the industry and hold specialization in their respective fields. Every single department has contributed towards the success of the organization and helped us reach the desired level of success. Their hard work and commitment towards their task has enabled us to deliver premium quality equipment to our customers, thereby helping us to garner maximum client satisfaction.